Many people mention “alignment” when talking about the benefits of meditation. The idea implies a sense of order, of things working as they should—your body in step with your mind. For those of us who struggle with sleep, the idea of alignment takes on a more specific flavor: settling back into our natural sleep cycles, perhaps, or working out the knots in mood or outlook that keep us from relaxing at bedtime. Whatever our understanding of alignment, the process of restructuring our minds, bodies, and lives implies adherence to a certain standard. After all, what are we aligning ourselves with? Heart rhythm meditation has one answer: our heart, which beats with a steady, natural rhythm. Deepening our awareness of our heartbeat fosters an internal “coherence,” which then helps establish harmony in other aspects of our lives. You’ll sometimes see these principles and methods discussed under other names, such as heart coherence, heart alignment, or heart-based meditation. While the concepts remain the same, these variations in name can make it difficult to find enough information about this type of meditation. That’s why we’ve listed some of our favorite blogs to give you a solid starting point. Check them out below! Heart rhythm meditation began under Susanna and Puran Bair, and they founded the nonprofit Institute for Applied Meditation on the Heart to serve as the main body for all things heart rhythm meditation. 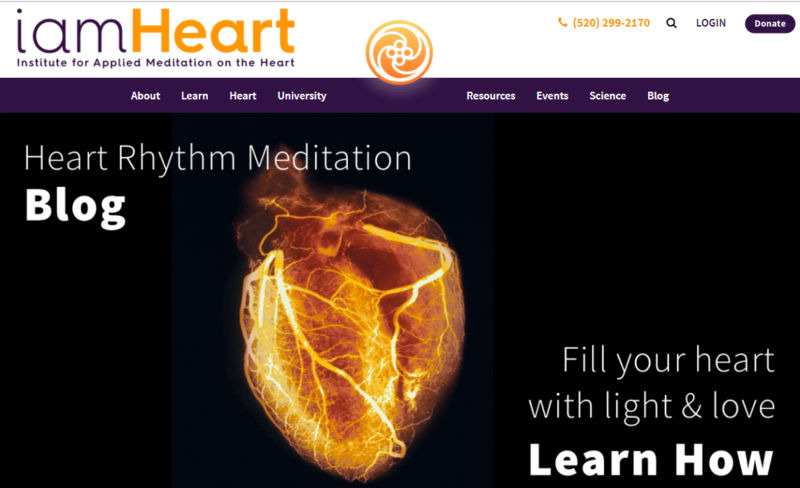 The website offers free resources like guided audio meditations, a podcast that discusses heart rhythm meditation’s applications to various personal issues, and a blog with prompts for reflection and helpful explanations of concepts like “archetypes” that can enhance your meditation practice. There are also links to class schedules and instructors, should you want to join a group near you. 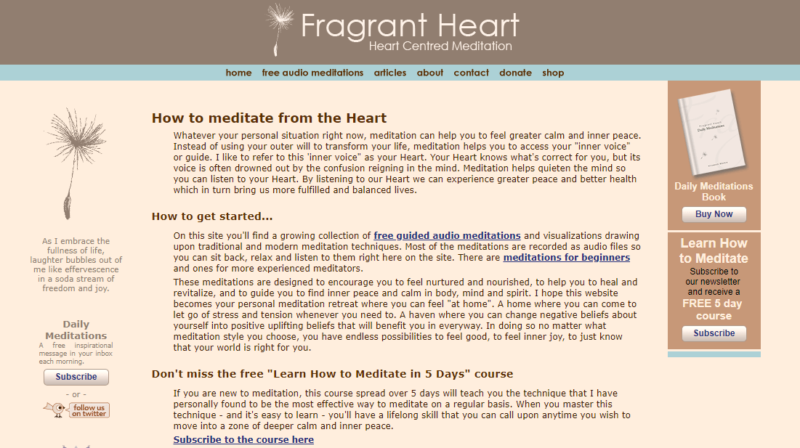 iamHeart is also included in our Top Meditation Blogs. 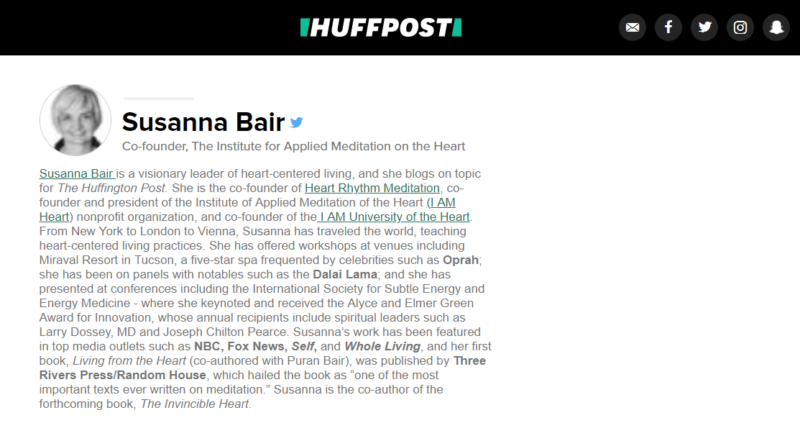 Susanna Bair, as we’ve noted before, is one of the co-founders of heart rhythm meditation. Aside from her regular blog posts and updates on the iamHeart website, she also publishes short, accessible blog posts on the Huffington Post. What’s great about Bair’s HuffPost articles are their accessibility: she writes with a more casual tone and finds more direct ways for heart rhythm meditation to intervene in your everyday life. If you’re still unsure about how much of a commitment you want to make to a new meditation practice, Bair’s posts are a good way to dip your toes in the water. The HeartMath Institute was founded in 1991. Though it advocates goals and methods similar to iamHeart’s, it’s a separate organization. The HeartMath Institute has several techniques (often with trademarked names) built on breathing cycles and heartbeat awareness, and it prefers to use more scientific language in discussing its approaches. In fact, their blog focuses on providing news and analysis of the latest research into “heart coherence” and its effects and benefits. There are also more reflective posts about HeartMath techniques’ uses for personal development, but the bulk of the material here zeroes in on the scientific aspects of heart-based breathing and meditation techniques. You’ll also find links to resources like meditation apps that can make it easier to incorporate heart-based meditation into your established routine. Would you like to learn more about heart-based meditation and related techniques from one of its top medical advocates? Dr. Joe Dispenza, a certified chiropractor, researcher, author, and lecturer on neuroscience and meditation, runs a surprisingly readable blog. Most posts provide personal reflections, prompts for contemplation, or excerpts from Dispenza’s books and talks. They’re great jumping-off points for setting your daily meditation intentions. Dispenza’s personal tone and clear language are big bonuses, too. For simpler and more practical approaches, check out Healthy Heart Meditation. If you don’t really care about heart rate variability or the body’s energy fields, and you just want to know what steps to take to address personal issues like chronic stress or emotional eating, then this is the site you’re looking for. Reading the blog posts is just like chatting with a friend. 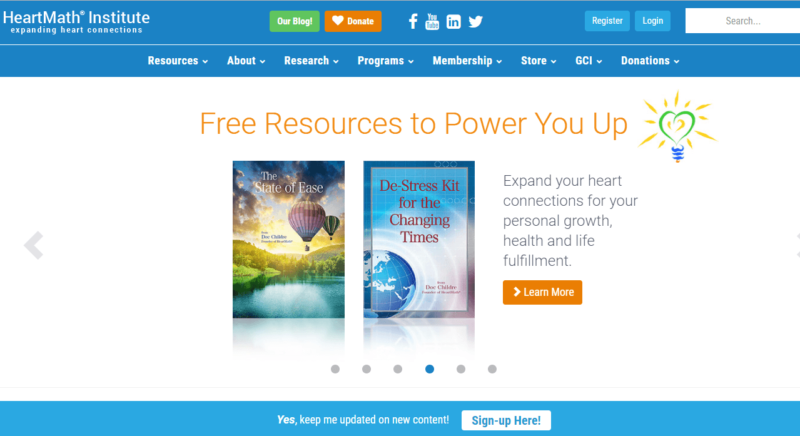 You’ll also get free resources like guided audio meditations and videos, plus dedicated resources for beginners. We love how Healthy Heart Meditation takes a friendly, unintimidating, and grounded approach to starting a meditation practice. 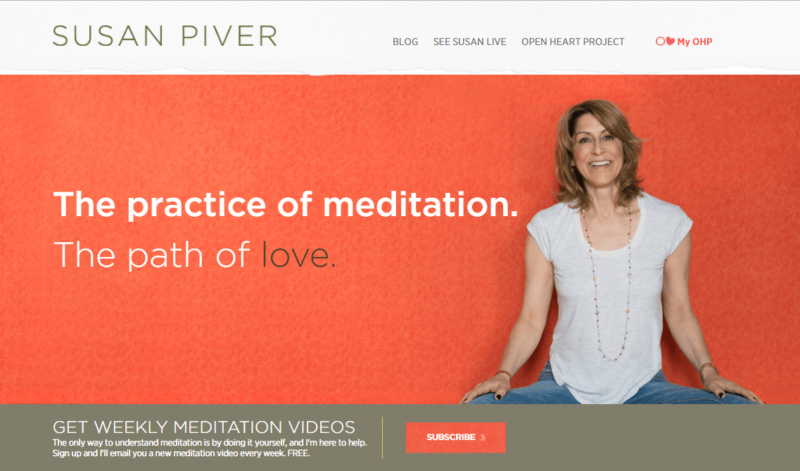 Susan Piver is an internationally renowned meditation teacher, speaker, and bestselling author of books like Start Here Now: An Open-Hearted Guide to the Path and Practice of Meditation. While Piver professes to advocating techniques drawn from Shambhala Buddhism, her emphasis on a “heart-centered” approach of love and compassion hews closely to heart rhythm meditation principles. 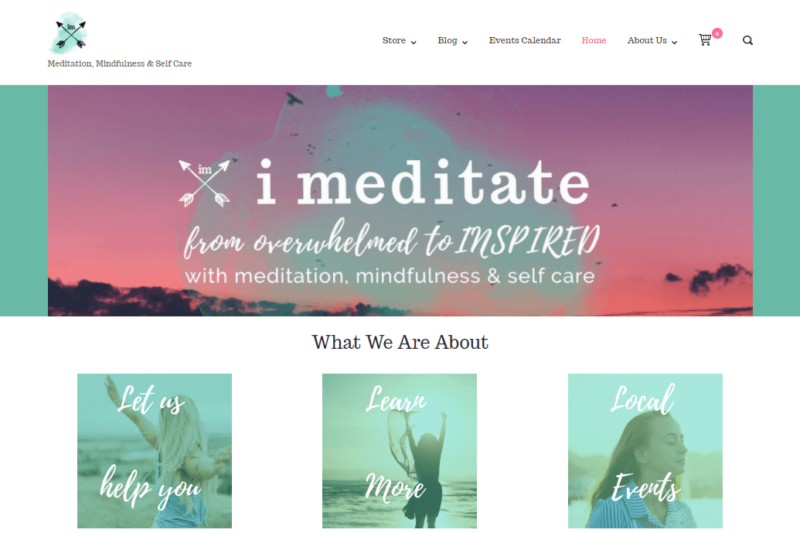 Her blog features episodes from her meditation podcast, guided video meditations, and articles reflecting on various aspects of sustaining a meditation practice. Plus, her Open Heart Project offers a free weekly newsletter that delivers guided meditation videos and articles straight to your inbox. 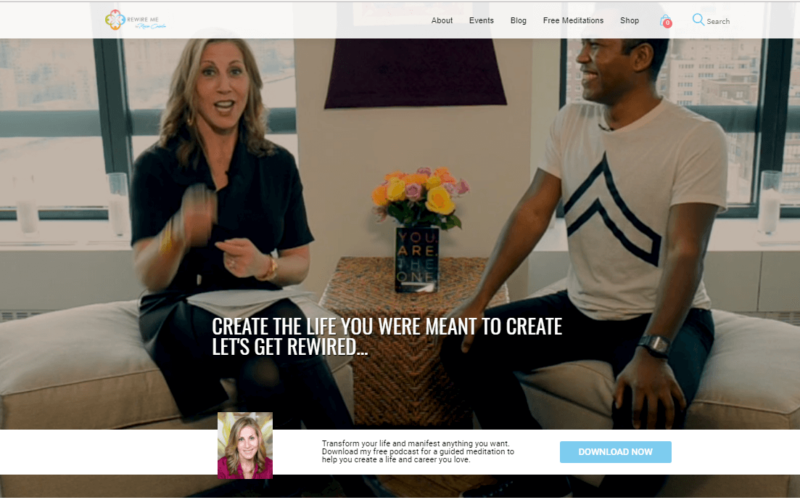 Rewire Me is run by Rose Caiola, a wellness trainer and speaker who draws a variety of disciplines for her titular “rewiring” process. 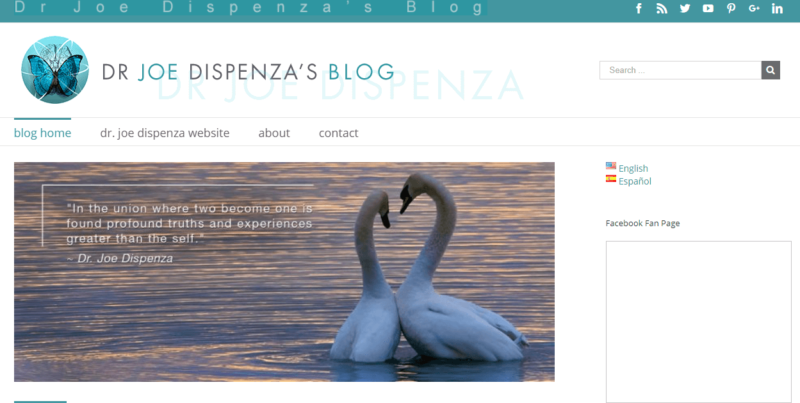 Her approach revolves around the rejuvenating connections between love, heart awareness, and neuroscience, and Dr. Joe Dispenza’s research informs the central tenets of Caiola’s personal philosophy. In her blog, she writes about heart coherence’s effects on various aspects of your life, from relationships and career to internal matters like resilience and mindfulness. You’ll also find lots of free meditations geared towards specific purposes like relaxation and boosting focus. 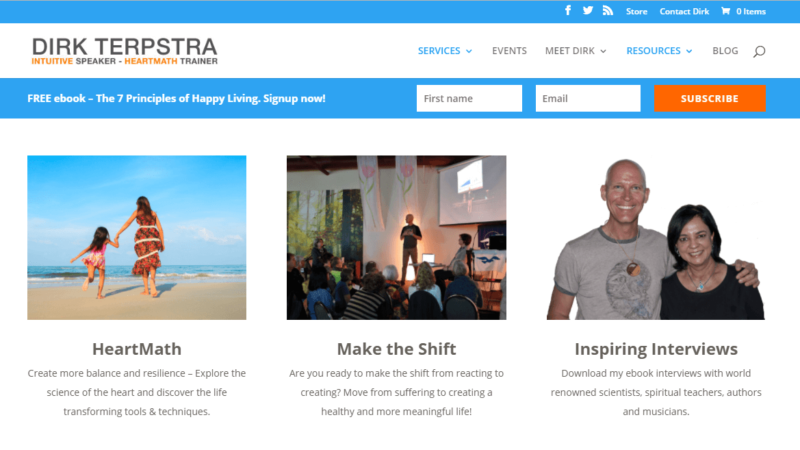 Dirk Terpstra is a speaker and certified HeartMath instructor who champions the cultivation of a coherent heart rhythm as an essential step to personal development. Most of his blog posts try to give practitioners inspiration and points for reflection that can enhance their own meditation routines. Terpstra also blogs about his experiences as a HeartMath instructor, including recollections from various HeartMath retreats and workshops that he’s facilitated or attended. Our favorite thing about Terpstra’s site, though, is his collection of in-depth interviews with various authors, researchers, meditation experts, and more, on themes like love, spirituality, and the meaning of life. If you’re at a loss as to how to continue your meditation practice for weeks, months, or years, then give Fragrant Heart a visit. The site’s main draw is its free library of guided audio meditations and visualizations, which can provide structure for your regular meditation sessions. These resources are fantastic for beginners who might not know how to proceed, but they’re also helpful to experienced practitioners who are unsure about the steps they can take to develop or level up their meditation practice. For added inspiration and guidance, check out the free 5-day beginner’s meditation course or the daily newsletter that delivers an inspirational message straight to your inbox. Though not exclusively a heart coherence practitioner, Karah Pino’s approach to meditation emphasizes deep, regular breathing and an awareness of the body that goes well with heart rhythm meditation principles. We’re recommending her primarily for her exploration of meditation’s intersection with technology and modern life. You’ll find lots of articles on meditation techniques and their applicability to, say, business, athletics, medicine, and more. 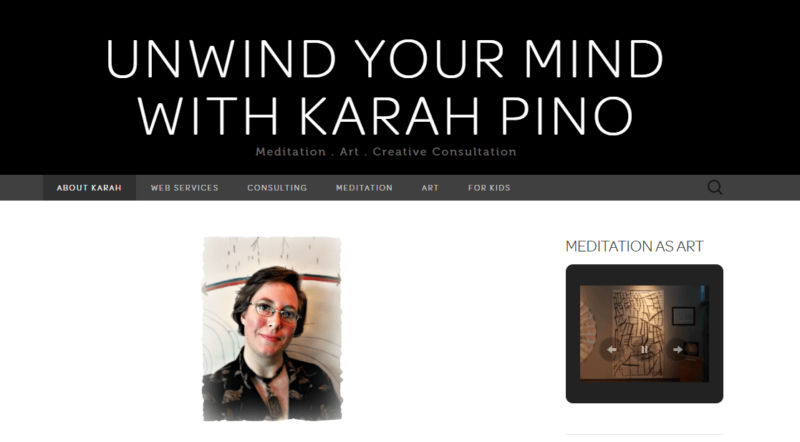 Pino also offers free guided audio meditations that you can download for your personal meditation sessions. While not strictly focused on heart rhythm meditation, I Meditate the World is a great companion site for your everyday meditation practice. This site is all about leaning on love, kindness, compassion, and deliberate awareness to improve your perspective on life and your overall well-being. You’ll find free guided audio meditations, a podcast dedicated to exploring how meditation can help the modern woman, as well as a blog full of practical tips and prompts that you can try in your daily life.